Focus on new client acquisition, revenue generation, technical quality and growth, not navigating cultural, economic and political differences. Lucalex is a Toronto-based company founded in 2012 to structure business opportunities for mid-sized companies in Brazil and Canada. We help Brazilian companies become fully integrated in the Canadian business environment. While leveraging our Brazilian roots, our deep connections in Canada’s business environment allow us to negotiate successfully and operate efficiently in the local market. We have a proven track record building and maintaining relationships in Ontario, where the company has an extensive business network. We team up with experts to maximize the efficient delivery of value to clients, leveraging a strong network of collaborators experienced in the Brazil-Canada space. We work with seasoned professionals and companies with strong knowledge of the products and impeccable industry reputation in their areas (logistics, accounting, legal, marketing, taxation, financial services, etc.). Mechanical Engineer from Brazil’s prestigious ITA (Instituto Tecnologico de Aeronautica), Lucalex’s founder, Marcelo Andrade, worked as a commercial banker for 10 years in Toronto, developing strong relationships with over 150 mid-sized companies across business sectors. Before commercial banking, Marcelo was a country risk manager for Latin America at RBC (Royal Bank of Canada). 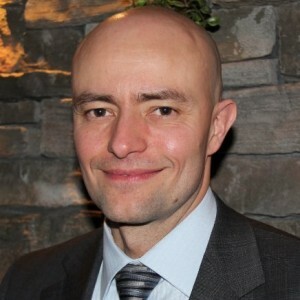 In Toronto, Marcelo also earned a Master’s in Economics from the University of Toronto and lectured Country Risk Analysis at Ryerson University.